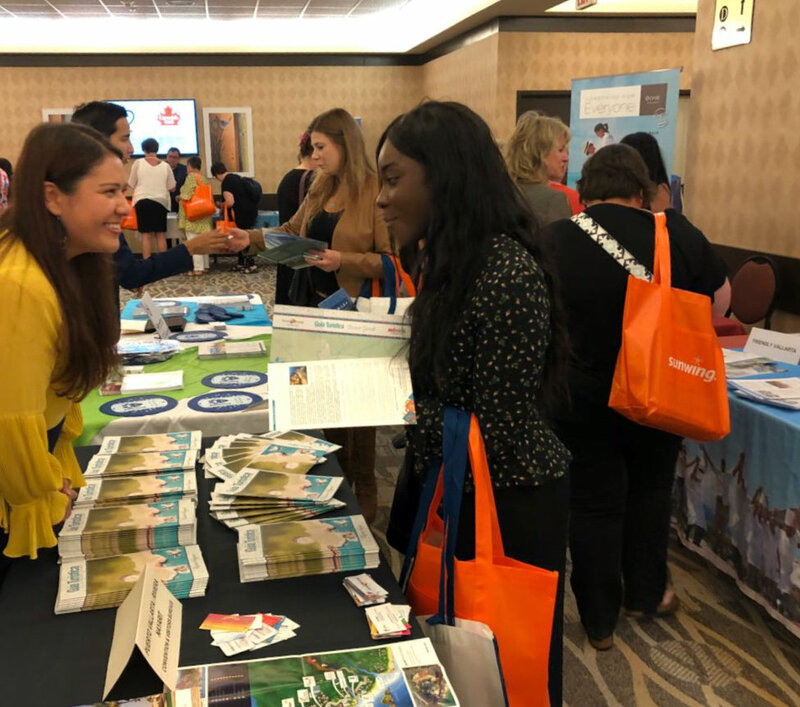 The Riviera Nayarit CVB and Puerto Vallarta’s Fidetur directly updated travel industry professionals in Canada’s main cities on the destination’s attractions. 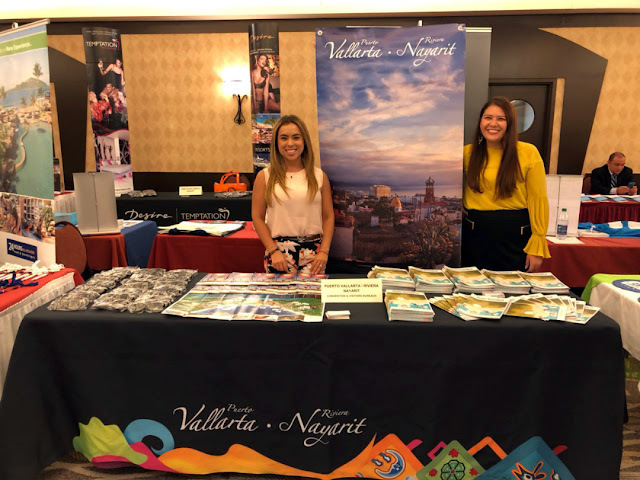 The Riviera Nayarit Convention and Visitors Bureau (CVB) and the Puerto Vallarta Tourism Trust (Fidetur) embarked on an intensive work week in Canada from May 15-18 at events organized by Sunwing Airlines, the Canadian company that offers regular and charter flights to over 60 destinations, including Puerto Vallarta-Riviera Nayarit. The goal was to reinforce tourism promotion in Canada’s main regions of origin for travelers to this destination, especially during the Winter season. Cities visited included Winnipeg, Regina and Saskatoon. The tour first visited Winnipeg on May 15th; this is both the capital of and the largest city in the province of Manitoba. There they connected with 220 travel agents to update them on the destination. Of note is the fact that during the wintertime there are two direct flights departing from this city. Work continued on May 16th in Regina, capital of the province of Saskatchewan and the second largest city in that province, which boasts two direct flights to the region during the winter. This event included the participation of 100 travel agents. La Oficina de Visitantes y Convenciones de la Riviera Nayarit (OVC) y el Fideicomiso de Puerto Vallarta (Fidetur) tuvieron una intensa semana de trabajo en Canadá. Last but not least, the city of Saskatoon, located in the central part of the Saskatchewan province and the biggest city in that area. There the promoters from Riviera Nayarit and Puerto Vallarta presented 140 travel agents with what’s new in the destination. Sunwing has three weekly flights departing from Saskatoon to the region during the winter. Sunwing operates a total of 19 direct flights from 11 cities in Canada to Puerto Vallarta-Nayarit during the Winter season. Sunwing Airlines is a subsidiary of Sunwing Travel Group, the parent company that operates as a travel agency and is one of the largest of its kind in Canada. The The Riviera Nayarit Convention and Visitors Bureau (CVB) and the Bahía de Banderas Hotel and Motel Association (AHMBB) reaffirm their commitment to the strategic promotion of the destination, pursuing areas of opportunity and consolidating new markets to increase the number of incoming tourists, together with the support of the Government of the State of Nayarit via the Tourism Promotion Trust (Fiprotur).